Where are YOU Running Today? Come run with us! Or walk... if that's what you're into. This week we return to our old stomping grounds at Stormbreaker! We will be running the 5K traditional route with 3 right turns - Down Mississippi, right on Interstate, right on Albina. (continue down Interstate and make a right on Lombard for the 10K) Afterward, stay warm by the fire and enjoy a Cloudripper IPA or a delicious Storm Toddy! Step off will be at 6:45pm! Bring your reflective gear and headlamps! 5K Route - Down Mississippi, Left on Interstate, Left on Alberta, Left on Albina brings you back to the brewery. 10K Route - Down Mississippi, Left on Interstate, Left on Lombard, Left on Albina brings you back to the brewery. We think we are the best run club in Portland and the highlight of our week is on Wednesday night when we meet up at a local bar in Nopo for a fun 5k or 10k and then a delicious beer afterwards. Come join us this Wednesday, we'll be there through rain, sleet, snow, wind, smoke or blazing hot sun. Delicious experimental beers and awesome tamales await! We will run either 5K or 10K along our inverted NoPo route. Let's rock this! This is our monthly St Johns Run from Hoplandia in St Johns! There are 5K road and 10K trail running options. The 10K trail run is more intense featuring 1000' of climbing and generally muddy conditions during the wet months. Trail running shoes and determination are recommended! Afterward, Hoplandia has kindly offered us $1 off beers! Order your pizza next door at Pizza Nostra and they will deliver it to your table! Step off will be at 12:15pm sharp! Say hello to Southeast Portland! This is our monthly Mt. Tabor Run - just for the Spring and Summer! Our host Laura will be adding some cross training, stairs and Tabata. We will meet at Space Room on Hawthorne and run to Mt Tabor from there. Brunch will follow! NoPo Run Club is hosting their first Breaker to Breaker half marathon on May 5, 2019! Registration will be capped at 60 runners, so make sure you’re watching out for the registration link. 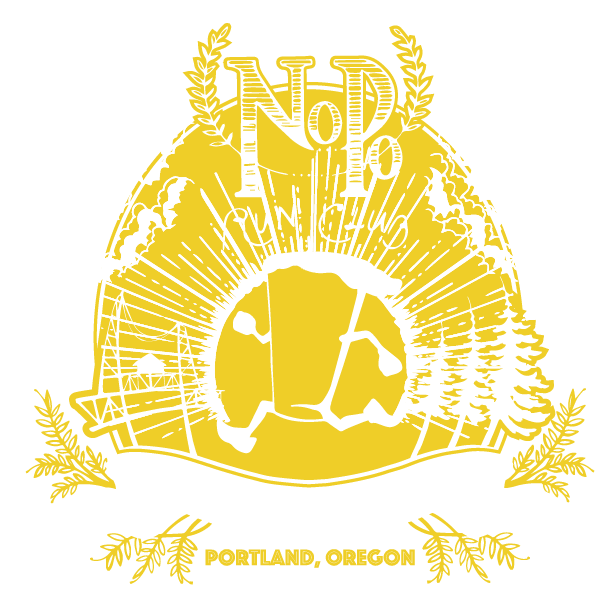 Cost is $30 and will include your bib, a pint, and some limited edition NoPo swag! Chances to purchase raffle tickets (and more beer) available on site. Must be 21 or older to consume alcohol, so please bring your IDs! Proceeds go towards the cost of hosting the event, with any donations going towards our annual NoPo anniversary party!